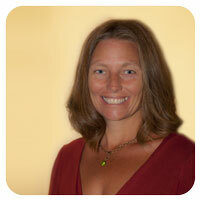 Cheryl Walters is the owner and director of Lotus Bloom Yoga Studio. Cheryl has been teaching yoga for over two decades, is a Certified Anusara Teacher and has directed Yoga Teacher Training Programs locally for over 10 years. Cheryl’s life has been deeply enriched by the many gifts of yoga. As a result, she has been teaching and sharing these gifts in the Prescott, Arizona area since 2001. Her life was transformed when she discovered Anusara Yoga, falling in love with the unique blend of Universal Principles of Alignment and the philosophy of Intrinsic Goodness. Cheryl has a remarkable gift for inspiring her students to embody the practice of yoga, not just on their mats but in their lives – to truly live their yoga. Cheryl shines with her joy for life and love of people, and is passionate about the transformation that exists within the practice of yoga. Her classes enliven the body, mind, and heart; celebrating beauty in all its diversity. Cheryl honors all who have been a presence in her life, acknowledging everyone especially her students as her greatest teachers. Cheryl also has been in the field of integrated therapies and holistic healing arts for over 25 years, she has a local private practice as a Conscious Living Coach and as an Intrinsic Breathwork practitioner. 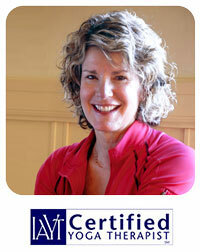 Cheryl is credentialed with the Yoga Alliance at an E-RYT500 level as a Registered Yoga Teacher and Educator. As a Yoga Therapist, she serves as a faculty member for Integrative Yoga Therapy where she received her credential. 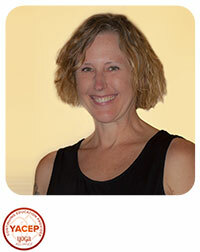 Cheryl is also a practicing Physical Therapist with a Master’s degree in physical education and exercise science. She has enjoyed over 30 years of helping individuals optimize alignment, restore movement, build strength and cultivate a balance in body, mind, and spirit to pursue joyful living. 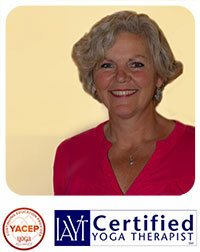 Cheryl received her undergraduate and graduate education in physical therapy through Northern Arizona University. Cheryl’s uses her Integrative Health and Yoga training to empower clients with self-care to complement their health care. Her perspective as a physical therapist and experience as a health educator enable her to adapt Yoga practices and explain philosophy to bring the many health benefits of Yoga into the mainstream. 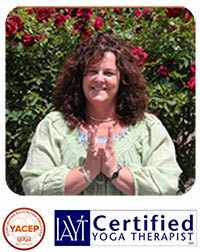 Cheryl received her initial 200 hr Yoga teacher training through Yoga Shala in Prescott under Cain Carroll. She guest lectures on anatomy for yoga teacher training programs. Cheryl is a member of the Yoga Alliance, the International Association of Yoga Therapists and The American Physical Therapy Association. Learn more about Cheryl by going to: healthinmotionaz.com or vidyayogaretreats.com. Colleen received her 500-hour training at Lotus Bloom Yoga and studied with Amy Weintraub for her certification as a LifeForce Yoga Practitioner. She is devoted to the studentship of teaching and offers each class as a tribute to her learning. Specializing in using evidence-based yogic tools, Colleen’s classes focus on creating a more balanced mental state. 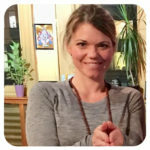 Colleen has a special passion for using yogic philosophy and techniques to work with anxiety and depression. She also works with those in addiction recovery to facilitate this journey of healing. It is her belief that every time we practice, we have the opportunity to find ourselves home in who we truly are, which is divine. Colleen has immersed herself in the study of mantras, breathwork, and physical practice, using a holistic approach to her time on and off the mat for radiant healing practices. 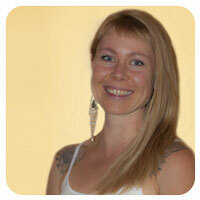 In addition, she leads workshops in exploring the chakras for healing in the emotional body. Her offerings at Lotus Bloom Yoga studio integrate the whole self in a dynamic flow class, as well as a supportive chair yoga class for seniors. Shinay Tredeau is a certified yoga teacher, yoga health coach, and co-author of Woman Challenge the Lie: 8 Radical Moves to Get Beyond “Never Good Enough.” Get the book here. Shinay has been practicing yoga asana since 2003 and teaching since 2007. Known for her energy, passion, and love of the human body. She is inspired by bringing intergenerational groups of people together to practice and explore the art and science of yoga. Inspired by yoga because of the connection to the one’s Heart Center, Shinay credits her teaching ability to her teachers: Lee Lozowick, Red Hawk, Christina Sell, Delisa Myles, and Bhavani Maki to name a few. Shinay started movement classes when she was 3-years-old. “To this day I thank my mother for ‘making’ me go to dance class. I am blessed with a body that loves to move and I’m grateful for the training I’ve received over the years to use my physical body as a medium for love, art, and spiritual practice.” Shinay lives in Chino Valley, Arizona with her husband, constant sunshine, and magnificent desert sunsets. She enjoys practicing yoga, dancing, writing, drinking tea, planting flowers, reading, cooking, being in nature. She and her husband travel to India on pilgrimage in the winter. Getting in touch is super easy. You can find me on the web at Instagram.com or email me directly at shinaytredeau@gmail.com. Andie began practicing yoga in 2004. She enrolled in Yoga Teacher Training in 2012 and began teaching right out of the gate. She loves being a teacher and a student! Over the past 14 years, she has attended countless yoga classes, workshops and emersions focusing on inversions, arm balances, backbends, anatomy and much more. 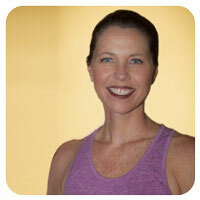 Andie’s passion for life and yoga are reflected in her teaching style. Her classes weave together Ashtanga, Iyengar, and Anusara methods, creating a well-balanced practice. She has a straightforward approach to teaching and crafts classes that are fun, challenging and packed with practical alignment cues. Amy started her yoga training in 2015. She fell in love with not only how yoga helped heal her body, but also brought forth a sense of peace and calm to her busy mind. Amy is completing her Yoga Alliance 500 hour Yoga Teacher Training at Lotus Bloom Yoga, which will reach completion in August 2016. She is also a practicing Physical Therapist with a Master’s Degree in Education. For the last 21 years, Amy has found joy in helping individual’s access their physical environment through their greatest form of mobility and assistive technology. Amy attended Yoga of the Heart, Cardiac and Cancer Certification Training with Nischala Joy Devi, and became certified in teaching yoga to people living with heart disease, cancer, and other health impairments. She is inspired by the health benefits of Yoga practices and gains great strength in the remembrance of caring and honoring oneself that is rooted deep within its philosophy. She is grateful for the opportunity to share Yoga with her community. Monica began practicing yoga in 2003. She started leading classes in 2008. She continues to stay current in her education by attending workshops, trainings, and retreats. Her best teachers have been her students and all of the face plants landed. In August 2017 she relocated to Skull Valley from Surprise, Az. The simpler living and much slower paced environment bring peace and joy to her. 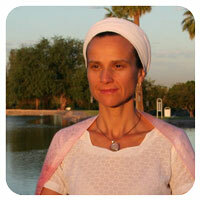 Monica Shares that the teachings of this science and art, we call Yoga, was not an instant fulfillment for her. Nothing happened quickly in her journey. She also shares that to enjoy the fruits of our practice, we have to commit to it. To be able to step onto our mat, even though we had a challenging day, does not come easy. To be able to slow the chatter in our minds. To arrange our bodies into an uncomfortable posture and work on becoming comfortable. To invite spaciousness and breath to the dark crevices in our body. To study ourselves in a deeper awareness. All of this requires commitment, even through uncertainty of the outcome. There are no promises and no guarantees. Yoga welcomes patience, love, vulnerability, forgiveness, compassion, healing and dedication. Our mats hold space for us, to show up just the way we arrive. And through consistency and hard work, we slowly begin to chip away the layers that cover our true, divine nature. We begin to win on the battlefield of the mind. Monica’s classes are inspired by Ashtanga, Anusara, and Hatha. She incorporates into the practice of meditation, pranayama and visualization techniques. These combined work synergistically together to raise your vibrational energy. Leaving you feeling strong, powerful and open. As a yoga teacher, she wants her students to know that she is a student as well. And that the work of balance is a continuation of learning and healing herself. Rebecca has been dedicated to being of service to others, facilitating their personal development for over 30 years, working in the addictions field as a licensed counselor, economic development consultant abroad, and currently Registered Yoga Teacher (E-RYT500) Registered Yoga School (RYS200 and 300) Registered Continuing Education Provider (YACEP) with Yoga Alliance and Registered Thai massage Therapist (RTT) with Thai Healing Alliance International. Rebecca started practicing yoga in 2005. She had many years as an athlete prior to starting yoga teacher training so was allowed to start early on her yoga path. She was elated by the results of her yoga practice on her health issues she was facing (accidents damaging spine) which she had been to years of physical therapy for. She trained underneath the tutelage of Mary Beth Nehl, Yoga Loft (Willmar, MN) and Beryl Bender Birch, the Hard and Soft Institute for her RYT 200 hours. She completed her RYT500 in Arizona with Dave Oliver’s Authentic Ashtanga Yoga which included over a year study in vedic chant and Sanskrit with Cheryl Hall Oliver and Nial Mandall. She currently combines her previous work as a licensed counselor, her studies and experience as an ordained minister in New Thought/Divine Science, and personal studies in yoga psychology and lifestyle to help people attain their optimum Mind-Body-Spiritual health and diminish the effects of trauma. Ram Das Kaur received her Level I Kundalini Yoga KRI certification in June of 2000 and has obtained four of the five Level II KRI certified practitioner modules. She has taught in Phoenix and Prescott since 2000 and states, “I love Kundalini Yoga because this technology cuts through life’s confusion and distortion and has the potential to polish us and that creates happiness”. She is Reiki III trained since 2008, teaches and performs poi spinning with Breath of Fire poi spinning troupe and is a registered nurse. Donna is passionate about yoga. Her style of teaching is a mindful, alignment-based flow, suitable for all levels, with a dose of laughter mixed in! She grew up on the east coast in NJ, went to school in the southeast, met her husband and moved to California for 23 years, and has now happily landed in Prescott, AZ! Donna holds a Master‛s degree in exercise and sports sciences, with an emphasis in sports medicine and athletic training. 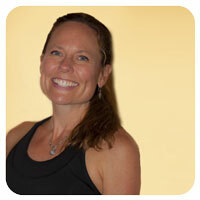 She has over 600 hours of formal yoga training and has been teaching yoga for over 13 years. 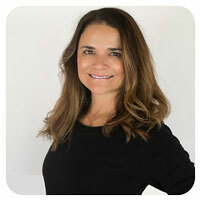 She is a certified Yoga Therapist through the International Association of Yoga Therapy, an experienced yoga teacher registered through Yoga Alliance, a certified Relax and Renew Trainer® through Judith Hanson Lasater, Ph.D., and a certified mat Pilates instructor through Pilates Academy International. Over the past 7 years, Donna has focused on yoga therapy in a private setting, working one-on-one or in small group classes. Donna‛s deep understanding of anatomy and alignment and vast range of tools from her educational background give tremendous depth to her teaching and allows her to support and connect with her students. She also enjoys the energy and community of group classes and teaches at community colleges, yoga studios, and fitness centers. 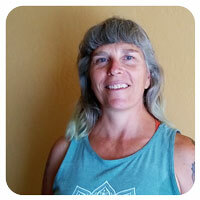 Teri began her yoga practice at Prescott Yoga in 2003 and immediately knew that yoga was her home. She completed her 200-hour teacher training certification in May 2011 and completed her 95-hour certification to teach yoga to children in June 2013. 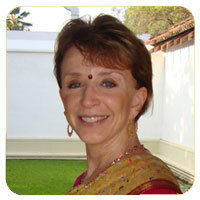 Teri also completed the 108-hour Anusara Immersion in 2011. She continues her studies as she is committed to Adhikara, life-long studentship. Teri is passionate about serving children. She is excited to bring the fun and the foundations of yoga to children. 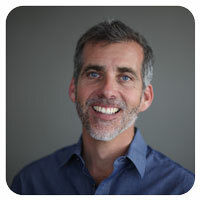 Teri believes that yoga can develop a child’s body, mind and spirit preparing them for a joyful, grounded life. Teri has been involved with community service for children for over 30 years. She loves her family, her grandchildren, travel, crafts and bicycling.